This article investigates the opportunities and challenges of cybersecurity for information systems (IS) programs and proposes a curriculum structure of cybersecurity track for IS programs. The study has collected data from eighty-two course websites of thirteen institutions at the graduate level and sixteen institutions at the undergraduate level as well as twenty descriptions of cybersecurity jobs posted on the internet. The collected qualitative data has been analyzed from the from the perspective of IS education. The findings indicate that the topics of cybersecurity management and essential cybersecurity technology are relevant to the IS discipline. The article suggests that these topics can be the components of two cybersecurity courses offered by IS programs to meet the demands and challenges of cybersecurity. 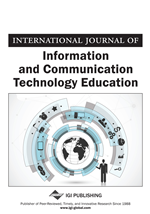 Most studies of cybersecurity education emphasize on technical aspects of cybersecurity and suggest that operating systems, telecommunication, networking, cryptography, malware analysis, and computer forensics are important technical skills for cybersecurity students (Beznosov and Beznosova, 2007; Fulton et al., 2013; Trabelsi and McCoey, 2016). Given the board coverage of technical topics in cybersecurity, there is no standard set of learning outcomes associated with technical aspects of cybersecurity (Slusky and Partow-Navid, 2012). Some cybersecurity programs use professional certification standards (e.g., CISSP (Certified Information Systems Security Professional)), and others use curriculum guidelines (e.g., NSA (National Security Agency) and NHS (National Health Service)).